nevard_090117_cement_ASTOLAT_IMG_3791_web, originally uploaded by nevardmedia. Well, Cement Quay's 5th outing on the road, this time to the Astolat Model Railway Club's excellent yearly show on Saturday 17 Jan 2009 went very well in indeed. 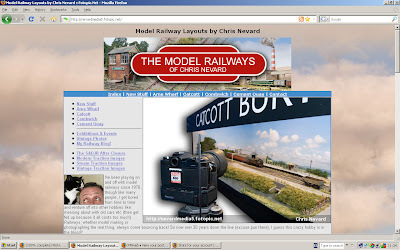 This was mainly due to a posse of railways modellers on RM Web who kindly offered their services to help play trains on the day. This meant that time could be given over to chatting to exhibition goers in addition to playing bouncer to deter the occasional person that decided that the layout would make a good prop to swing off! Looking at the shot above, I wonder what drug the person who selected the curtain material was on? One to be avoided methinks! Any old iron! Any old iron! nevard_090114_cement_scrap_IMG_3739_web, originally uploaded by nevardmedia. Today's little project; what to do with all those bits left over from a Walthers Cornerstone kits (and others)? Scrap of course! The barge is from an Artitec resin kit. The load is removeable - you can see the card base around the edges - to the eye it isn't too obvious. nevard_090110_cement_37422_IMG_3704c_web, originally uploaded by nevardmedia. I had some spare dyed plumber's hemp left over from Catcott, so before the cat decided to play with it, the remainder got stuck into place with PVA to replicate more rushes and reeds. Some spare embroidery thread was pinched from my wife's sewing box to create the missing mooring ropes. The mast on the barge looks a tad clumsy, time to dig out out the magician's invisible thread when I have time. It's unlikely in this day and age than such a worn out and overgrown place would exist in real life - 'rule number one' of course! 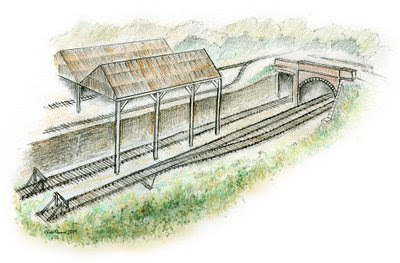 Cement Quay will be at the Astolat Model Railway Circle's Annual Exhibition on Saturday 17 Jan. This will be the layout's first outing in a year. 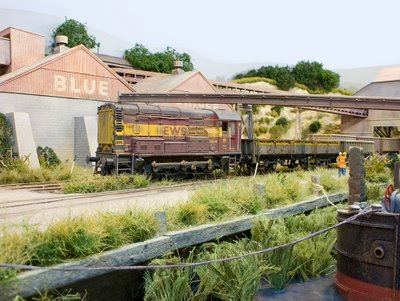 Several layouts including a 'G' scale layout that can be operated by visitors, societies, trade support and refreshment. 090106cement-quay_clip, originally uploaded by nevardmedia. 08630 departs from a rather run down Cement Quay with a short rake of PCA cement wagons. Fotopic - back from the brink! Just when we though the game was over, Fotopic has risen from the grave! The 3 day outage supposedly was caused by their link to the outside work going down - tut, you should always allow for redundancy with something so important! 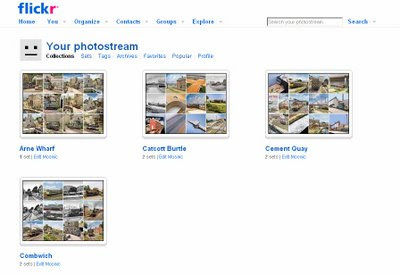 At around 09.30 on Friday 2 January, the much loved Fotopic transport enthusiast online gallery disappeared from our computer screens. There's much speculation, mostly unsubstantiated ranging from liquidation through to server problems. Whatever the issue, 24 hours on, and our screens are still blank. Carter's Siding - a bit MORE armchair pontification!